It is frustrating to the core to manage the signs of passive aggressive behavior in men. In fact, it is nothing more than disappointment when it comes to living with a man showing such a disorder. A passive aggressive personality is certainly not one of those dangerous disorders that can threaten your life, but it is surely something that can make life difficult for the people living with someone who displays it. Be it in relationships, work place, society, or anywhere else, such behavior can give rise to many problems. Passive aggressive men are generally loving, caring, romantic, and understanding partners, but under the guise of these amazing qualities lies a personality that feels impaired when it comes to expressing their ideas and thoughts. Such type of behavior is not something that develops overnight; it is related to a person's upbringing during childhood. In dysfunctional families, where children are not given sufficient freedom to express themselves and even healthy emotions like anger are taught to be curbed, children tend to develop a passive aggressive personality. Such behavior comes from parents and a family atmosphere where the child feels afraid or hesitant of expressing his/her emotions. It is this nature that gradually develops into a personality disorder causing a lot of trouble. 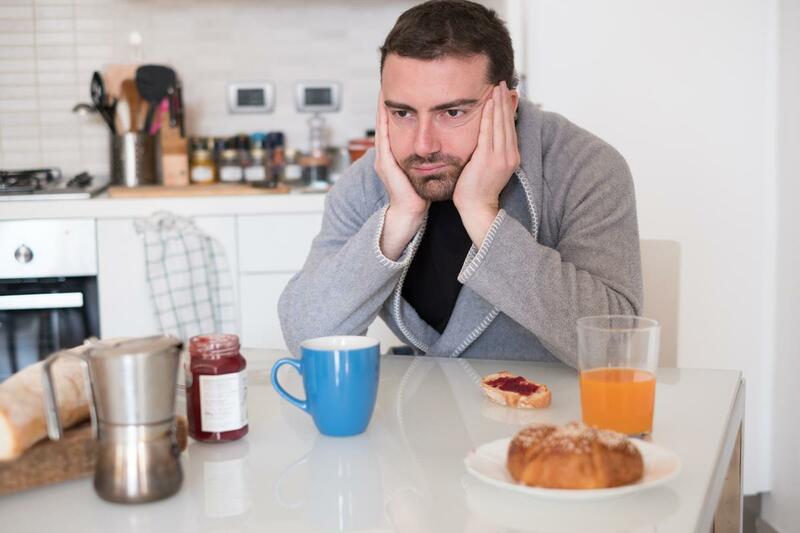 Generally, medical experts and scholars of psychology believe that such behavior in men arises due to their home environment and is often genetic. A perpetual unhappiness engulfs his existence. He always remains unhappy even if the situation is good enough. He will get frustrated and feel helpless, but will never ever say anything worthwhile about his problems. If he says, in least possible cases, it will be clouded without any proper reasons. He may compliment from behind and is not open about that. Sometimes, it may not be clear if the man is teasing you or just praising you. He expects that he must be understood even when he is not expressing or saying anything. He won't even say what he wants and will feel bad if you don't understand him. He may not be assertive in his dealings, especially in discussions with his spouse. But when it comes to physical intimacy, he is always at his best. He may fight or start arguments, but later he may apologize for upsetting you. Even when he is angry, he may not express it and will deny it completely. Mostly, he blames others for his shortcomings and problems. The entire world seems full of problems and he is effective in agonizing over it. He is highly contradictory in his own beliefs and acts. He may say something and in the meanwhile do the other. He never finishes his tasks on time and postpones his work daily. His arguments change very fast depending on the person with whom he is talking. He uses language that is extremely confusing and will often divert to different topics. If an individual is engaged in this type of behavior at the workplace, it can lead to a poor performance in his goals. He may fulfill his responsibilities, but his anger and frustration over trivial matters will always be seen in his work. Dealing with such people is not easy, but then there is a hope for recovery if the behavior is not deeply ingrained into the personality. By proper cognitive behavior therapy and counseling, one can identify various problems. Even group therapy helps in effective treatment for this disorder. While being frank with a man suffering from this problem and telling him that his behavior is causing great problem to you is also an effective way to help the person realize his behavior, it may not always work. Hence, it is ideal to take professional help, seek group therapy, and try to develop love and understanding with the person. Passive aggression may not be completely cured, but still the personality can be trained to put a control over his patterns of behavior. One needs to support and love the person who is suffering from such a disorder. Accepting their weakness and trying to cure them effectively can lead to excellent solutions.